If you never finished high school, don’t worry. There’s help available in the Provo/Orem area. 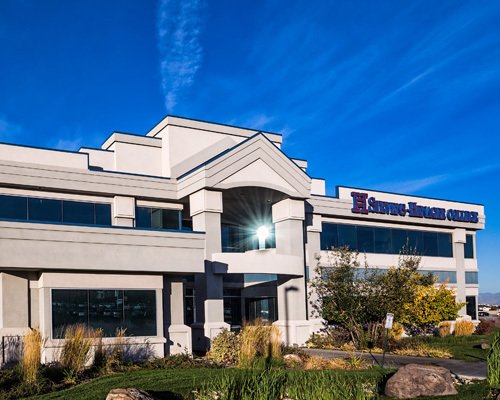 The Orem (Provo) campus of Stevens-Henager College is the Good Neighbor Initiative’s location for our no-cost GED® test courses. When we say “ no cost,” we mean it. Everything you need to prepare for and pass your GED® test is included. Call our campus and stop by today to learn more! Nichole Richards has worked as a GED® test coordinator with Stevens-Henager College since 2014. She earned her Bachelor’s degree in secondary education with a minor in anthropology from Brigham Young University in 2009. Prior to working at Stevens-Henager, she was a manager at Best Buy in Utah for four years. She loves to teach, especially social studies. She loves helping her GED® test students graduate and move into college, careers, and dream jobs. She and her husband have one son. She loves watching her son play soccer and taking family vacations to Disneyland. "The teacher was the main reason my GED® test experience was so great. Nichole was born to teach! She went above and beyond. [The Good Neighbor Initiative] paid for everything, and they never asked me for anything! I could still work while I took the night GED® test classes."